Most people don't think twice about mirrors. For them it is just a device to "check out" their looks… But NOT for you after experimenting with this kit! The magical world of mirrors from a science perspective is quite amazing. 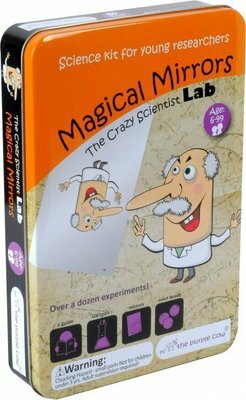 Over a dozen experiments that will blow your mind – the "Infinite Mirror", the "Disappearing Face", building your own Kaleidoscope to name a few. Looking at mirrors will never feel the same!